I've featured nspa on my blog a few times, and they're a brand I just love - a good price, available at ASDA so you can pick up their products with your weekly shop, what more could you want? As a bonus, they've also never broken me out or irritated my skin, which is hard to find for me. The latest product I've been trying from their range is a their Ever Youthful Double Action Serum*, which has a big 3 and a big 4 on it - as it's used to treat AND moisturise (there's a 4 step system with nspa's products), which I can confirm it does. I use this of an evening, and I can definitely get away without using a proper moisturiser too, even with my dry skin. I love the sleek packaging (with it's twisty top to prevent leakage) and the amazing spa-like smell, and a little goes a long way, so at £6.40 it's an absolute steal. The ingredients (Ginseng and various vitamins) leave my skin bright and soft and plump, without making it greasy or spotty. Winner! 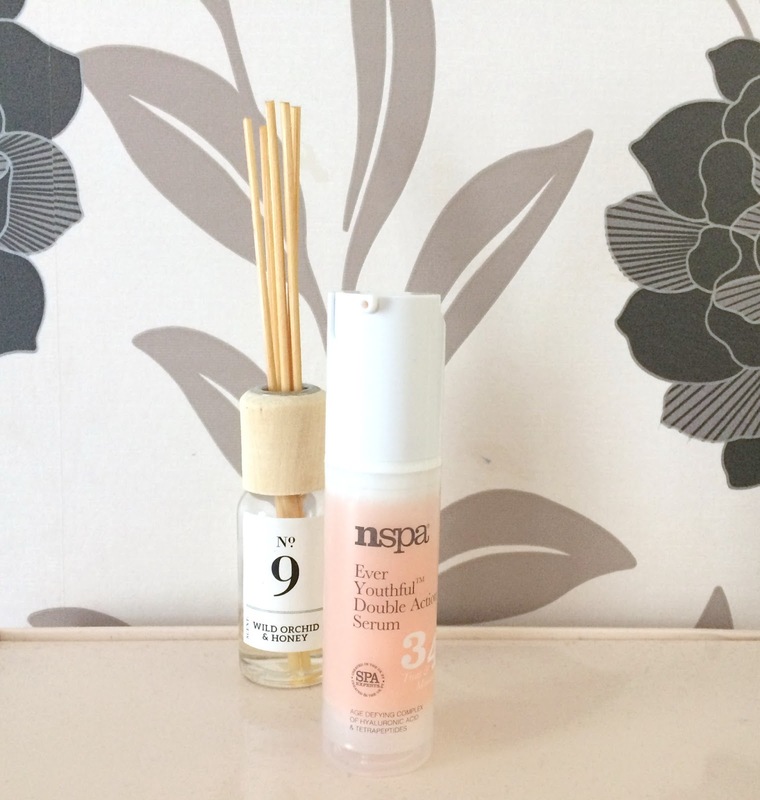 I absolutely love nspa, and this product didn't let me down - it's well worth checking out if you're in the market for a new serum.